Index futures were virtually unchanged following release of economic news at 8:30 AM EST. Consensus for Weekly Jobless Claims was a slip to 230,000 from 231,000 last week. Actual was a slip to 226,000. 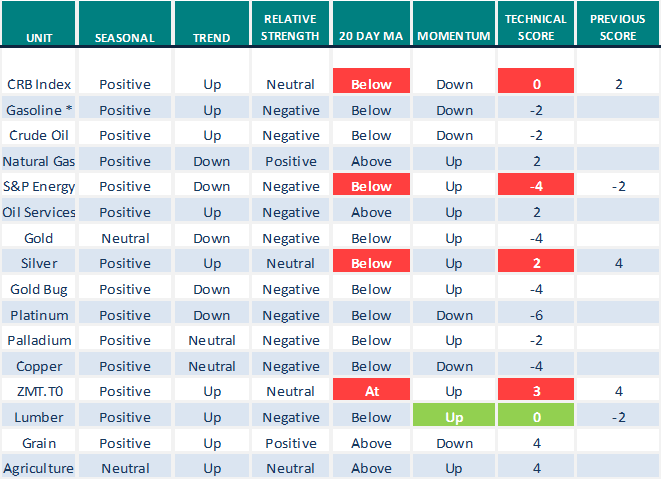 Consensus for March Philly Fed Index was a drop to 23.3 from 25.8 in February. Actual was a drop to 22.3. Consensus for the Empire State Manufacturing Survey was an increase to 14.6 from 13.1 in February. 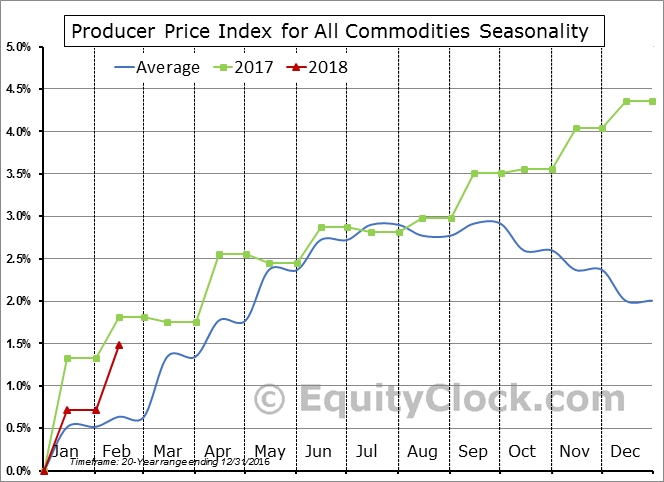 Actual was an increase to 22.5. 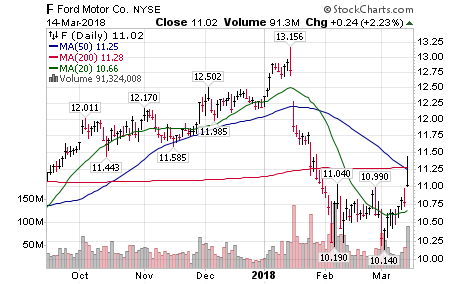 ADT gained $0.56 to $10.77 after reporting higher than consensus quarterly earnings. Signet Jewelers dropped another $-/62 to $37.60 after Susquehanna lowered its target price to $35 from $52. 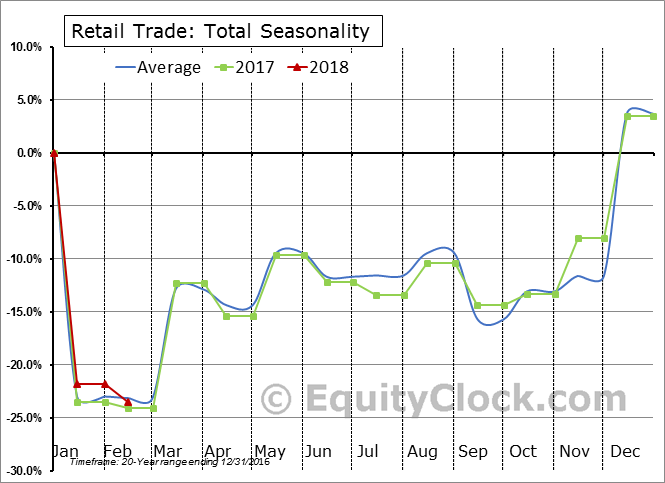 Dollar General gained $5.80 to $95.00 after announcing higher than consensus same store sales. The company also announced a share buy-back program and raised its guidance. 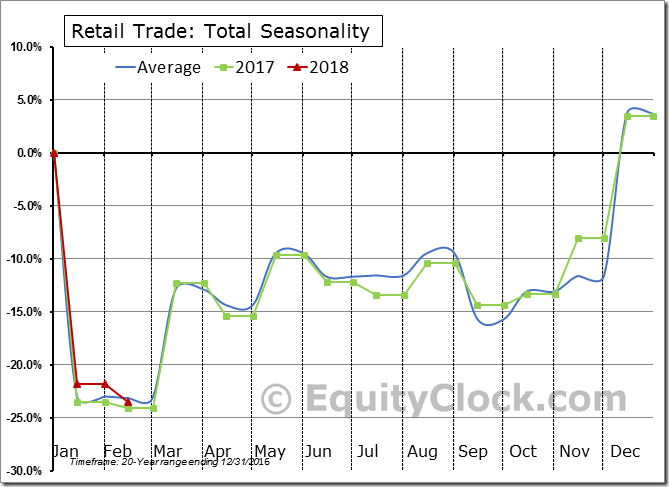 Note seasonality charts on the Industrial sector, Materials sector, Crude Oil Days of Supply, Gasoline Days of Supply, Retail Trade and the Retail Industry. 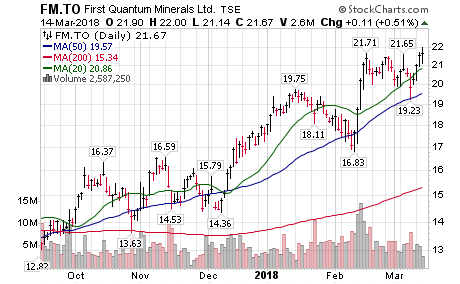 First Quantum Minerals $FM.CA, a TSX 60 stock moved above $21.71 to a 3 year high extending an intermediate uptrend. 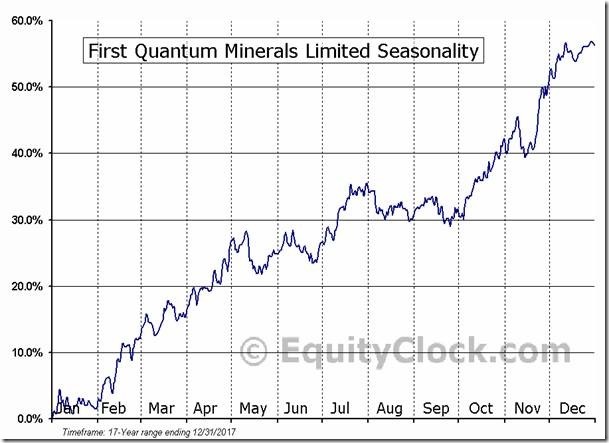 ‘Tis the season for First Quantum Minerals $FM.CA to move higher to mid-May! 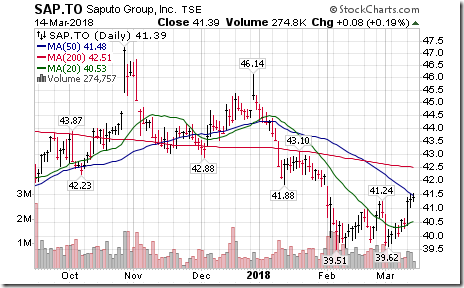 Saputo $SAP.CA , a TSX 60 stock moved above $41.24 completing a double bottom pattern. 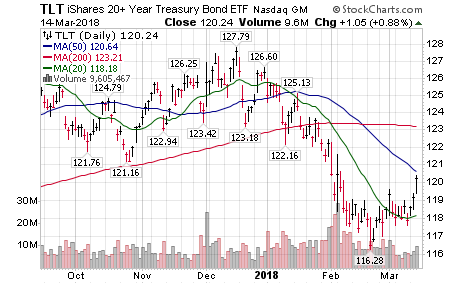 20 year Treasury Bond iShares $TLT moved above $119.62 completing a short term double bottom pattern. 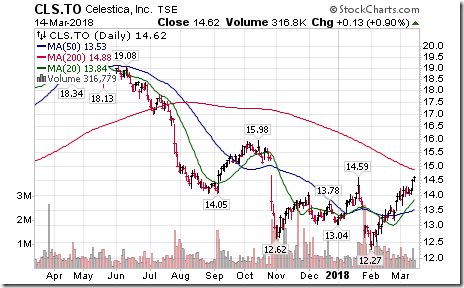 Celestica $CLS.CA $CLS, one of Canada’s largest tech companies moved above $14.59 completing a double bottom pattern. 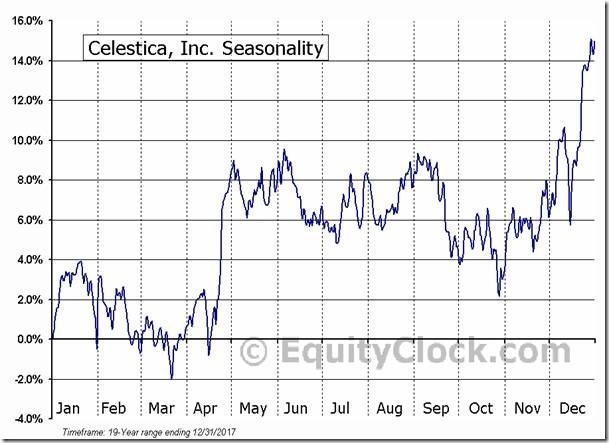 ‘Tis the season for Celestica $CLS to move higher to early May! 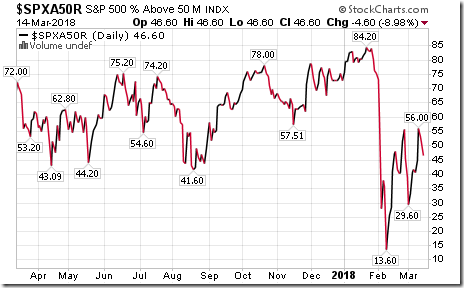 The Barometer dropped 4.60 to 46.50 yesterday. It remains intermediate neutral. 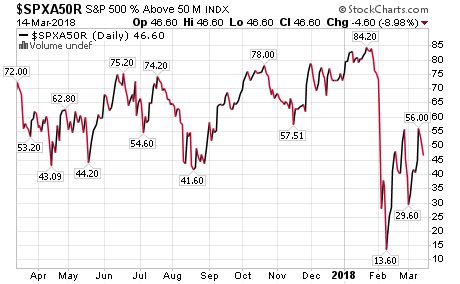 The Barometer added 1.63 to 40.41 yesterday. 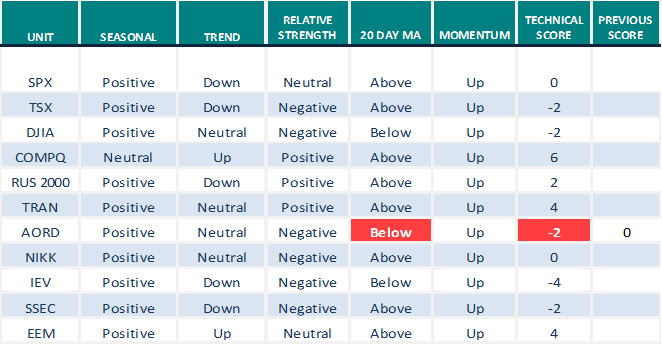 It changed to intermediate neutral from intermediate oversold. $CAD collapsing past its’ previous YTD low. Looks straight down to at least 0.75 from here. Easiest trade IMO. I don’t know if you read my late message to you on Tuesday but further to my comments here are 2 more articles, linked below, which you may find of interest. Thanks for the links. I did save the Tuesday link you posted. I’ll spend some time with this one as well. My concern is about running out of time. 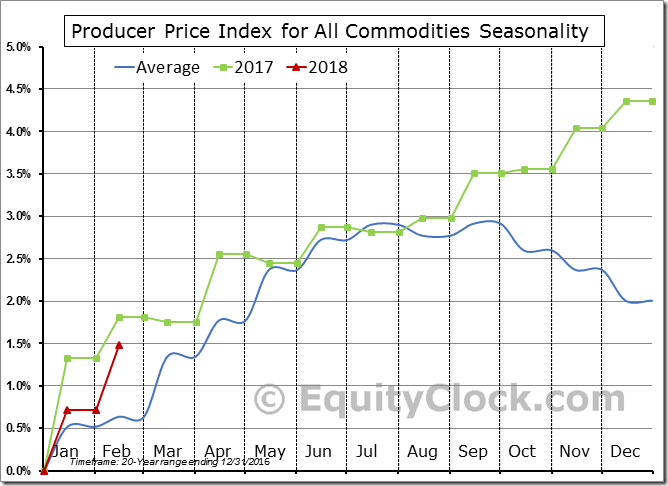 I’m no spring chicken anymore and retired so have to be concerned about surviving the next recession which I think is not more than a couple years away at best. So I’m not willing to hold onto a freshly bought Mutual Fund as it crashes and burns with the thought that it will recover someday. 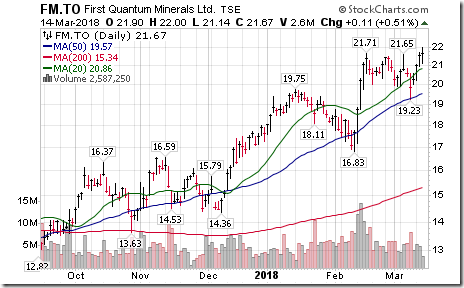 Questrade has a good track record of each type of fund and is made up with ETFs which I like as each ETF is not exposed to the individual issues that single stocks face. And they have a lot of customers and cash on hand as well. Probably not any better than others though. But you know the old saying, “Better to deal with the devil you know than the devil you don’t.” But as far as comparing these funds they all have about the same 3 to 5 classifications being Conservative,Balance,and Growth 20/80, 60/40,80/20. You have to wonder if they were all compared to each other in the same groups if there would be any difference in return to speak of other than MER fees. So I guess I’m hesitant to put my money in one as if I saw it roll over I would likely spook out and cash out. I don’t think they’d like to deal with me after awhile. But it is something I have to deal with so will see what I can glean from these fund links. Something else most don’t consider as they retire is what can you expect your quality of life to be over the next 10-20 years. I can think of many that are not enjoying life as it once was for them to their surprise. That is a huge factor at the retirement stage of life especially when making financial decisions. And I hate surprises,lol. 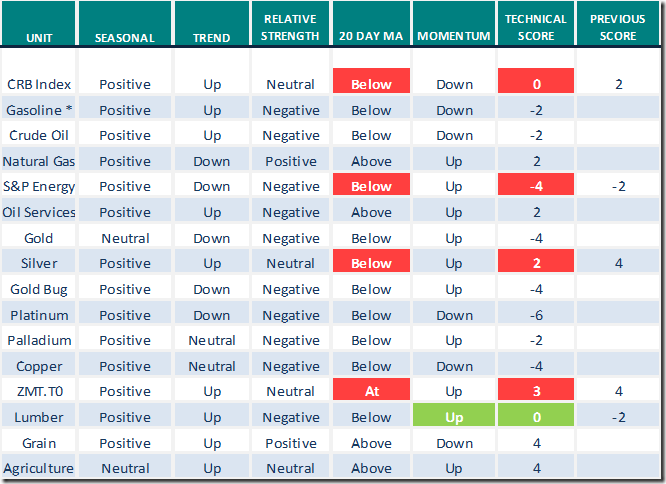 What would help to make a decision is a sizeable correction in the broad market and then investing in it on a bounce back so there is a cushion under the entry point even if prices didn’t fully recover and went sideways. I could forget about it then and live with that as long as it didn’t go under water. Meanwhile I guess I would collect dividends in the fund too. Gee,I wonder what that would be like. Filling the gap. Thinking 2701, maybe. 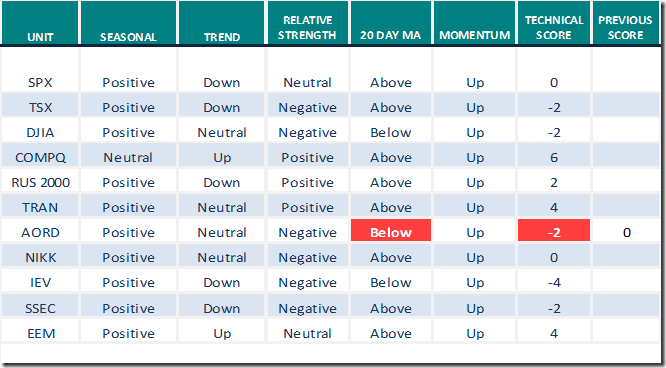 I understand your angst with changing your investing focus to more of a buy and hold. I’m also a conservative investor although a bit less conservative than you. I have no qualms about sticking with my DGI plan but its not really smart for me to expect my wife to be able to take over a self directed/(semi) actively managed strategy which she has little interest in learning. We don’t currently need all of our investment income because my wife wants to continue working but, because of our age difference, I want the funds to last to my age 120. Now, I don’t expect to live that long but I’ll die trying…lol. Anyway I digress. I still plan to simplify the investment strategy at some point by cashing out the stocks and putting the proceeds into Mawer Balanced Fund. 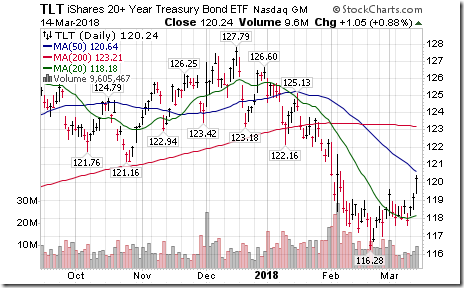 The only drawback with this approach is the insufficient yield the fund offers, currently 1.11%. This necessitates harvesting of shares (units) to make up the income shortfall. For the record Mawer Balanced Fund is a fund of funds similar to the Questrade and Vanguard offerings. Its globally diversified with an approximate 35% bond/65% equity content. The lifetime annualized return is near 8% with only two down years since inception in 1988, -2.25% in 1994 and -16.11% in 2008 (after fees and expenses). Here is a long term weekly chart going back to 2003, the max allowable per “Barchart”. All things considered the 80/20 mix might be the closest fit to your risk profile Ron, especially if you plan to buy and hold. Just ignore that dream of 2701. I was trying to draw lines on investing.com. Those lines move all of the time. 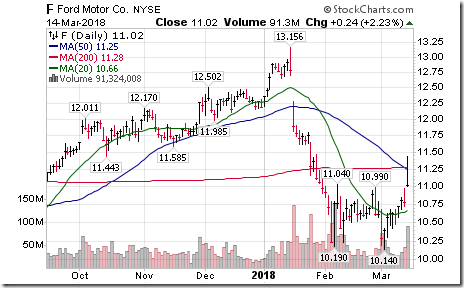 Wish that Stock Charts would let you share a chart with lines on it, if you are not a member. I know, you pay for what you get! The $SPX is supported by the 50 sma. I find it amazing that the standard deviations and negative returns differed so much, ie: volatility yet over the long term the average returns were almost identical. Re: #7 Please disregard my last line. I have no idea how it got there. OK, I’m done…no more hijacking of this forum! Thanks for the info. Not that I fully understand how to view and use the data you listed. But my point was does it really matter what Fund you buy if they have the same percentage of Fixed Income and Equity. Of course they would also need to use the same country’s stock market and fixed income within those percentages. I can’t see how they will differ “much”. So then it comes down to what is the MER on each and how easy it is to access your funds that would determine overall returns. I know Questrade and Tangerine and Mawer Funds all had about the same mix of stocks and bond combinations and all returned about the same percentages. I’ve always had a problem with everyone focusing on percentages earned. I’ve always said I don’t spend percentages I spend dollars. A small percentage on a large amount of money is far better than a larger percentage of profit on a smaller amount of money invested. I recall the joke about 3 big shots bragging about their percentage returns on their investments. When the new guy told them he had storage lockers and made $50 per month on them they all laughed at him. Then he told them he had a couple of thousand of them. They stopped laughing once they figured it out. No problem just trying to help. If everything were equal these funds would have similar returns. That’s true with Vanguard and Questrade ETFs because they basically sell indexes. Due to the similarity in their holdings the difference in their performances would be a reflection of the difference in MERs. Mawer Funds are actively managed. Past performances have been outstanding for most of their funds when compared to their peers and indexes they dance with. That said, past performances don’t dictate future returns. Go with what you’re most comfortable with within your risk tolerance. Not sure where you’re going with your analogy but do agree “a small percentage on a large amount of money is far better than a larger percentage of profit on a smaller amount of money invested”. I didn’t realize Mawer Funds were actively managed. Looking at their site again I see they do have a variety of funds divided up even under one category. I don’t believe the others have that many choices under each risk group. I guess that’s due to being in just ETFs for the others. It’s been awhile since I spent time on that site. I notice their MER was more than Questrade and Tangerine. Some time ago I thought that the lowest MER funds were where to go and then considered making my own fund to eliminate all costs but I don’t really want to manage a bunch of ETFs or stocks soaring and plunging daily like we often see. Just too much b.s. out there trying to shake out the markets. I have a chunk of cash plus my TFSA in a 4% term deposit but also am considering putting in the same amount in a fund. 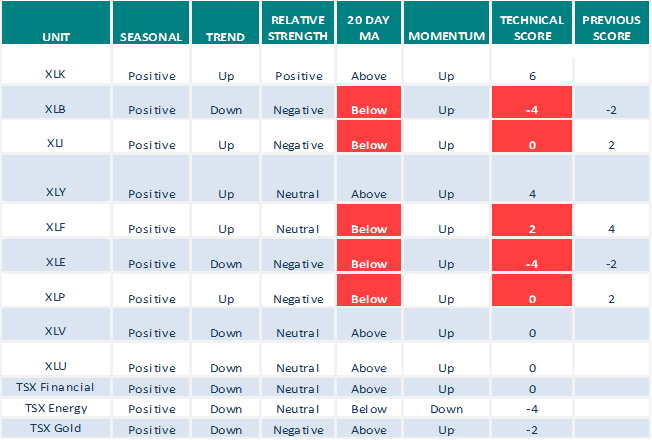 But I would like to see a significant pullback and rebound so I’m not likely to be underwater right after. I just refuse to hold a losing position and that policy has saved me in more ways than anything else financially. And to make things difficult I am still considering buying a condo to reno and sell. But that looks more and more like a pain in the azz with little upside to it regardless of how good a deal I might get. My comment about percentages were only related to how many compare investments in percentage terms and I’ve always been more concerned about how much money I could make not the percentage of profit. I would be happy to get a lower percentage if it was guaranteed rather than a high percentage but with a high risk investment. Kind of like a bird in the hand is worth two in the bush. And I don’t consider Fixed Income safe myself. 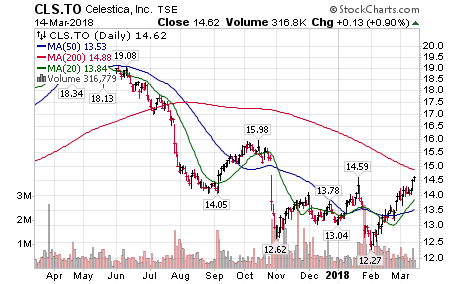 So if we can get a descent correction that is very overdue I’ll put some cash in a fund,perhaps a select Mawer Fund and hold it as long as it is above my entry price. I also have my RIF money that I have to start taking a yearly payment this year with so am pushed to find something to invest in that earns enough to keep the balance there without it running dry. So the pressure is on to ‘do something’. And that money in my RIF is in U.S.$ just to make things more difficult. I’ve always said if I can’t do things the hard way I wont do them at all,lol. Mawer takes great pride in the management and historical performance of their funds. 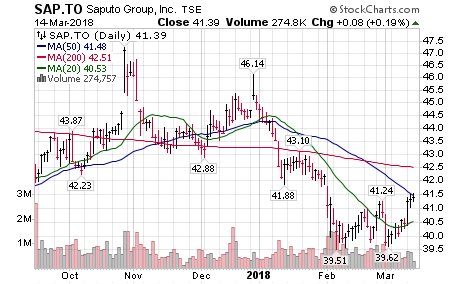 They do offer a variety of choices but others such as Vanguard, iShares, BMO, RBC do as well if you check into their sites. Mawer has higher fees than Questrade and Vanguard and other index funds but they’re low when compared to other actively managed funds (mutual funds and ETFs). IMO fees only matter when comparing funds of similar holdings. 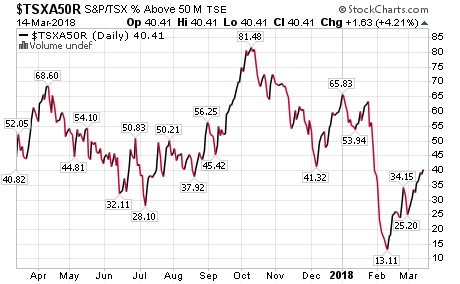 Mawer funds typically outperform their peers and indexes. 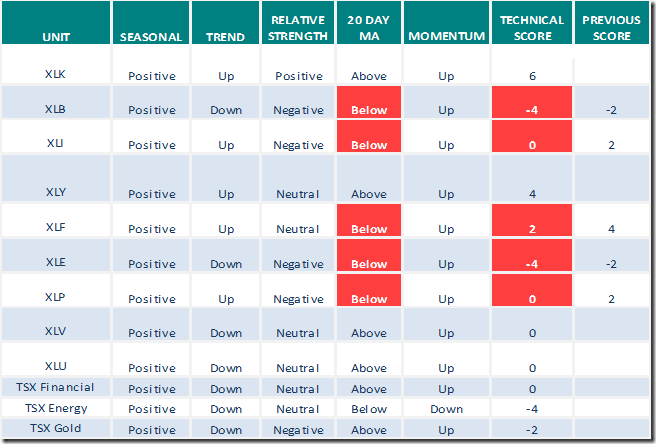 I can understand you not liking fixed income content especially in a rising interest environment but it can act as a shock absorber for those who prefer to hold on to their balanced portfolio rather than know when to sell. It can be most difficult knowing when to buy a stock, ETF or mutual fund. Your technical expertise gives you an advantage most don’t have a clue about. Hopefully we get the correction or dip in the market you seek so you can jump in with a margin of safety. Orrrr, perhaps add in small amounts over extended periods of time and exit when you feel things are turning south.